Today is Memorial Day in America. Spybrary remembers all those who fell in silence whilst fighting for our freedom. Most of us will take a moment to think about those who lost their lives fighting for our freedom. 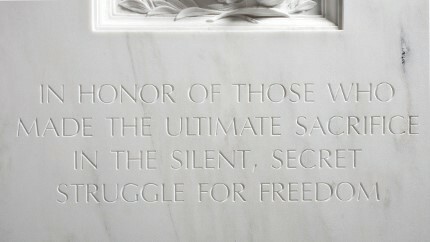 Memorial Day got me thinking though, what about our brave men and women in the clandestine services? Shouldn’t we spare a moment to think about them as well? Spying has always been about the shadows, the secrecy, the silent world. No fanfare, no fuss. Yet that does not mean we should not remember them. 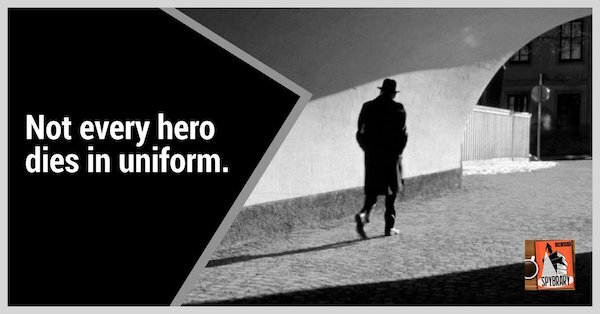 Many of these men and women chose to work for a service that needed them to be anonymous. How many times have we heard from kids of spies who had no idea what their mother of father did? I recently read in Jeremy Duns’ Codename Hero that the daughter of MI6’s Moscow Head of Station, Ruari Chisholm confronted her father when she found a passport at home. It was her Dad’s photo but with a different name. 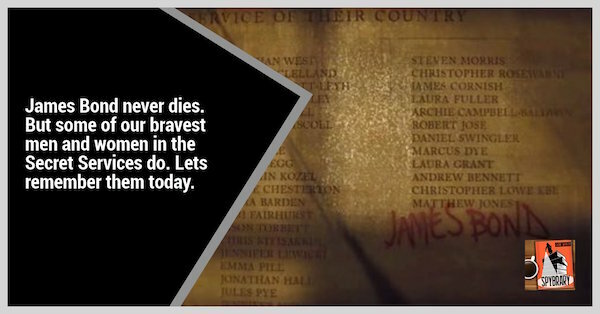 So when even the immediate families of spies have no idea of their parent’s career then there is no surprise there is not a public national day of remembrance. How the CIA honors their fallen heroes. 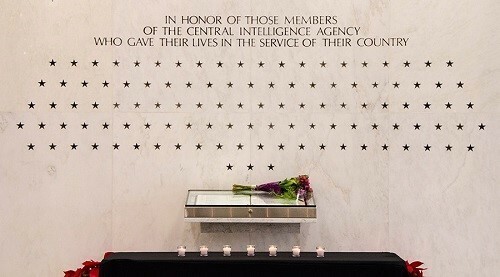 The CIA have a memorial wall at their HQ. Should you wish to give back then there is a CIA Memorial Foundation which exists to support the children of fallen CIA officers. How do other Security Services remember their fallen? If you know please do let us know in the comments or email me at shane@spybrary.com and I will be happy to add your comments to this article. So this post is a salute from all of us at Spybrary to all those in honor of those who made the ultimate sacrifice in the silent, struggle for freedom. We remember them.